Tree resins have been a major part of human history and have been used in nearly every culture on Earth for thousands of years. 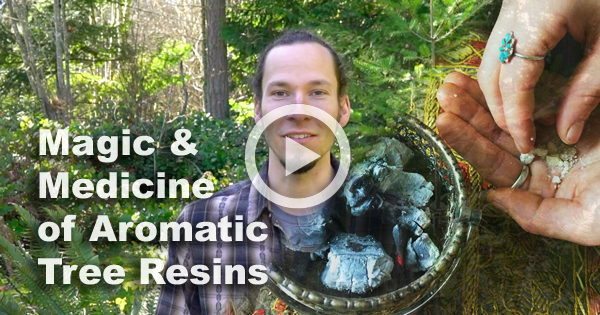 Whether used in perfumery, as incense, medicine, or for more practical uses in crafts, construction, ancient boat building, and insect repellents, tree resins continue to share their many virtues and gifts with humanity. 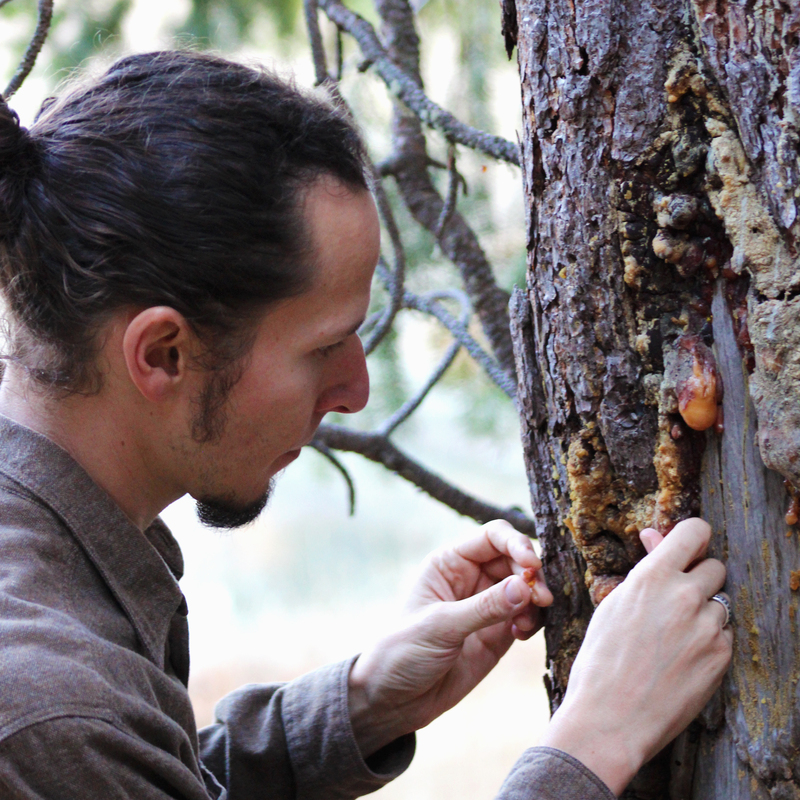 Most people know of the existence of tree resins. They’re those inconvenient, sticky substances that never washed off your hands when climbing trees as a kid. But what we didn’t realize back then was that the sticky resins exuded from many species of trees around the world hold potent aromatic qualities, highly concentrated medicinal properties, and countless practical uses. Resins are a miraculous substance really. In a practical sense, they act as the defense mechanism for trees and plants. When a tree is damaged or a branch is broken, resin exudes from the exposed wood where the bark has been removed, covering the wound and sealing it off from intruders: insects, parasites, bacteria, funguses, etc.. When resin hardens over time with exposure to oxygen, it creates a sort of bandaid, or scab, allowing the tree or plant to heal while fending off outside influences. 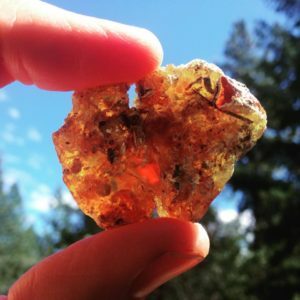 Resins have been a major part of spirituality, sacred rites, and ceremonies all around the world for thousands of years. 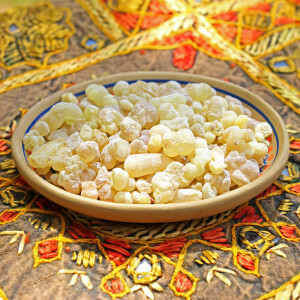 Frankincense and Myrrh were used extensively by the ancient Egyptians and many other cultures for a wide variety of spiritual purposes; and these two are still burned as incense in Christianity and some Catholic churches today. 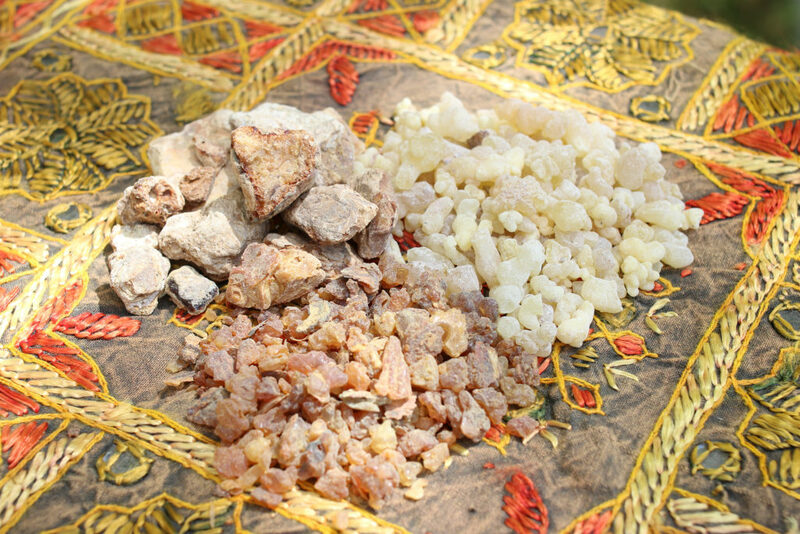 Different species of copal have been burned in rituals in Mexico and Central America since the time of the ancient Aztecs and Mayans. In South America, other types of copal, resin from the palo santo tree, and other resins and plant gums have been used in shamanic and traditional healing practices for accompanying prayer, smudging or cleansing energies, spiritual purification, and many other sacred purposes. *If you’ve enjoyed this article and would like to learn more about aromatic plant medicine, the ancient art of incense, and the traditional spiritual and medicinal uses of essential oils and plant smoke, join our email list and become a part of the Tribe!